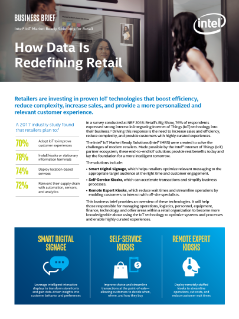 Retailers are investing in proven IoT technologies that boost efficiency, reduce complexity, increase sales, and provide a more personalized and relevant customer experience. Intel’s Brian Teuscher demos brand-building coolers in a retail conversation with David Roth at NRF 2015. Intel collaborates with top brands to help retailers improve the shopping experience while protecting their customers.